Home NEWS & EVENTS WELCOME MR. FAMULARO! 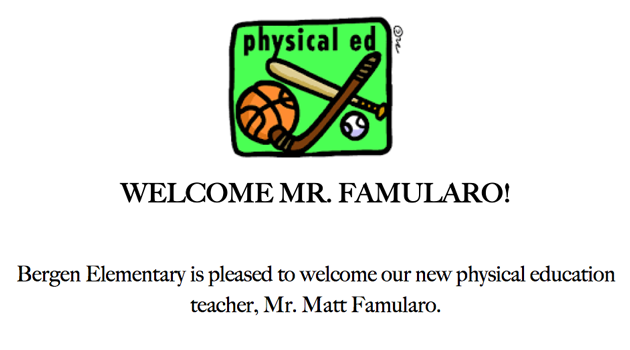 Bergen Elementary is pleased to welcome our new physical education teacher, Mr. Matt Famularo. Mr. Famularo comes to us with a certification in Physical Education & Health as well as experience working with students in grades K-12. He will be working alongside Mr. Durham this week to assist in the transition. Mr. Durham’s last day will be Friday, November 10th. We wish Mr. Durham best wishes as he embarks on the next chapter of his educational path. 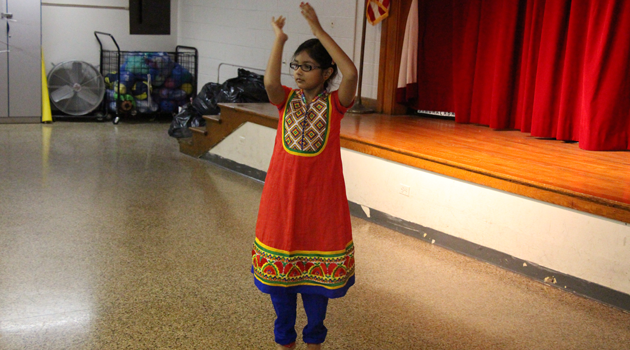 We thank him for his dedication and commitment to the students at Bergen Arts & Science Charter School. Let’s make sure we give Mr. Famularo a big Bergen welcome!